There is no substitute for experience. More than fifty-five years of designing, engineering, and manufacturing audio/video components has put us at the top of the audio field. We have always been a family owned business. That is why we take the time to build, test, and critically evaluate each new model before it goes into production. Our reputation is personal. Maybe that is why we have achieved such an abundance of international critical acclaim from enthusiastic audio fans and professional reviewers alike. Rotel components deliver more than simple entertainment. They provide an experience that resonates with people who want something more. Music and movies are visceral when played through the right system. You should expect nothing less than what the artist or director intended. Hear what over 55 years of electronic manufacturing experience can do for your audio/video enjoyment. The founder of Rotel, Mr. Tomoki “Tac” Tachikawa, was born in Taiwan. He studied and later settled in Japan and started various businesses and trading companies before creating Rotel. The origins of Rotel (originally called Roland) date back to a contract to distribute U.S.-made Sylvania television sets throughout Japan. This was in the early 1950s, before the growth of Japanese-manufactured sets by Sony, Panasonic, Toshiba and other brands. Distribution in those days involved servicing and, because Japan uses a different AC voltage than the U.S., distribution rights also required modifying Sylvania’s products to meet local requirements. Engineering thus became an early focal point of our efforts. We began our journey to world renown as a builder of quality audio components when we reorganized in 1961 and exited the TV distribution business. During the 1960s, audio product OEM (original equipment manufacturing) design and assembly became our mainstay. However, increased efforts were devoted to designing and marketing products under our own brand name. A notable example of the company’s acclaim came in 1973 when Consumer Reports graced the RX-402 receiver with its coveted “Best Buy” rating. What CR didn’t know—and apparently never learned—was that the two runners-up also came from the same Rotel factory, even though they were sold under different brand names! Our strategic direction was shaped by many forces during this time, most significantly the hyper-competition in the late 1970’s stereo marketplace that led to a pronounced trend toward products that were marketed on features rather than sound quality. Rather quickly, this evolved into a marketing war based on suspect attributes. Instead of real performance improvements audible in comparative listening, manufacturers sold products based on such things as power ratings inflated by questionable measurements or the newest fluorescent bar-graph display. We chose to follow a contrary path...and never looked back. By 1979, we had carefully defined our mission by going back to our roots. Rather than endlessly chasing “features”, we focused on designing no-frills audio components that emphasized musical accuracy, superb build quality, and affordability. This back-to-basics product plan was realized by our extensive experience in producing quality audio components reliably and efficiently in the Far East. Many of these now 30 plus year old components are still in service today! Although our basic engineering work was performed in Japan, an all-important lab facility in England was entrusted with critical sonic parts selection and final tuning. In late 1982, the RA-820B was launched from this engineering partnership and quickly became the most successful Rotel integrated amplifier to that time. It was the first in a long line of products that established our reputation for superb sonic value, winning the company’s first Product of the Year award from What Hi-Fi? magazine and receiving many other accolades from the notoriously finicky British domestic press. In the years that have followed, various audio publications around the world have given Rotel components a breathtaking number of awards covering every product category. The heart of any audio component is the power supply, of which the type, size and material of the transformer plays a major part. We did not want to leave something so important to anyone else. This is why we invested the money and developed the know how to build our own toroidal transformers. Without a good power supply, the rest of the design can never deliver the desired performance. Our engineers carefully evaluate the power requirements of each new model. This information is conveyed to the transformer engineering team who calculates the requirements including voltage, current, physical size and product type. These engineers then design the exact specification for the transformers and begin the process of designing the transformer and winding a sample for testing. Each transformer is custom built to exacting standards using materials conforming to the strictest of standards. The metal winding material of the transformer is rigorously checked to confirm that there are no impurities in the steel. The wire used for Rotel transformers is sourced from trusted suppliers who produce certified documentation of the copper materials. Each transformer core is built, baked, wound and stress tested to ensure power supply delivers all the clean, undistorted power each component requires for optimum audio performance. Uncompromised sound always starts with the power supply whether it is a CD player, surround sound processor, preamplifier or power amplifier. If you value great sound we invite you to visit one of our authorized dealers for a demonstration. Hearing is believing. That’s the Rotel way. Rotel joins forces with Bowers & Wilkins and a long lasting relationship begins. The global affiliation between Rotel and the B&W Group dates back to the early 1980's with the establishment of exclusive distribution in North America and several European markets. Over the next 20 years, Rotel appointed virtually all Bowers & Wilkins distributors globally to represent us. In 2000 the B&W Group established Rotel Europe in the UK to consolidate all Rotel sales and support activities outside of North America. In 2006 Rotel and Bowers & Wilkins entered into a joint venture agreement covering the shared operation of expansive manufacturing and logistics facilities in Zhuhai, China. The brands have always shared a strong belief in producing world class audio products to the highest standard and maintaining an exclusive but committed network of specialist hi fi dealers around the world. Our dealers make all the difference to our customers. Rotel dealers are the best in the audio business. Within comfortable facilities, they provide professional, personalized service whether you are new to audio or a long-time enthusiast. Our factory specialists work with authorized Rotel dealers to train their staff so that they can go well beyond the specification sheet and can demonstrate the unique performance capabilities of Rotel components. Our dealers are passionate about sound, and passionate about sharing that experience. They offer installations services as required and provide first class customer support after the sale. Our reputation for excellence has been sustained for more than 50 years based upon high customer satisfaction and an ever-growing fan base of loyal customers. If you are new to the brand, we would like to make you a fan as well. Please visit your nearest authorized Rotel dealer and ask for a demonstration. Rotel Founder’s son, Bob Tachikawa joins the company and becomes instrumental in the growth of the brand. In the late 1980’s Bob Tachikawa joined Rotel and assisted the company during the next phase of growth. Bob, the son of Tomoki Tachikawa, ushered in a new era for Rotel extending the brand beyond traditional stereo products into the expanding home theater market while preserving the audio values of the company. Surround processors, audio/video receivers, multichannel amplifiers and DVD players were launched to great acclaim and commercial success. A graduate of the University of Virginia in the United States and global in his outlook, Bob quickly became the “face” of the Rotel brand and was recognized as the driving force behind the brand and our products. These values continue today as Rotel is still owned by the Tachikawa family. Current CEO Peter Kao is Bob Tachikawa’s nephew and leads an international team of engineers. The latest Rotel models are fully in the Rotel sonic tradition that is now so firmly established and globally admired. Our commitment to quality goes far beyond the research and development phases of creating our products. We follow the same philosophy through the entire manufacturing process and manufacture all Rotel products in our own factory, under our own management and with our own equipment. You may be surprised to learn that many audio brands do not have their own factory, and instead rely on contract manufacturers to save costs. We long-ago made the decision to build all products in-house to ensure that our products meet strict quality standards from in-coming raw materials to finished goods. Significant investments have been made in manufacturing technology to this end. At the Rotel factory you will find state of the art surface mount technology (SMT), flow soldering equipment, automated test equipment, spotless and efficient assembly lines and, of course, an array of transformer winding equipment. The equipment operators and production line staff are skilled and well trained. They work hand-in-hand with the quality control team on the production line and inspection areas. Within a Rotel owned manufacturing facility, our engineers are free to create circuit topology and select components based on sound quality and not ease of production or lowest cost. This dedication can easily be both seen and heard in every Rotel model. We are proud to place the Rotel badge on each and every product as it leaves the factory. It is unusual for a company of Rotel’s size to have SMT machines due to their cost. Smaller companies usually OEM this stage of production. But there are important benefits to SMT, which is why we made the investment in the machines. Rotel continues to grow into the 21st Century. In 1995, Peter Kao was studying in Tokyo and would occasionally visit his great uncle Tomoki Tachikawa (Rotel’s founder) and uncle Bob Tachikawa (Rotel’s CEO). On one such visit the idea of expanding Rotel manufacturing into Hong Kong and China was discussed. 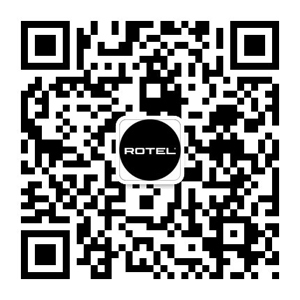 It was clear that Rotel needed to move manufacturing into China due to the increasing labor costs in Japan and Taiwan. The idea intrigued Peter and would give him the opportunity to see other parts of the world as well. In 1996, Peter joined Rotel, working out of the Tokyo office to learn about the business and products. By 1999, he had moved to Hong Kong to set up the Hong Kong office and China factory where he remains today. We open our own purpose-built factory in Zhuhai, China.